Fees will remain at $110 for the year (which includes $35 theatre membership). Please note all vacancies have been filled for 2019. 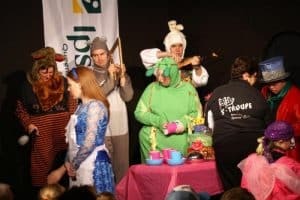 In 2018, students performed “One – it’s all about me”. Selected students also performed at the Silkstone Eisteddfod. 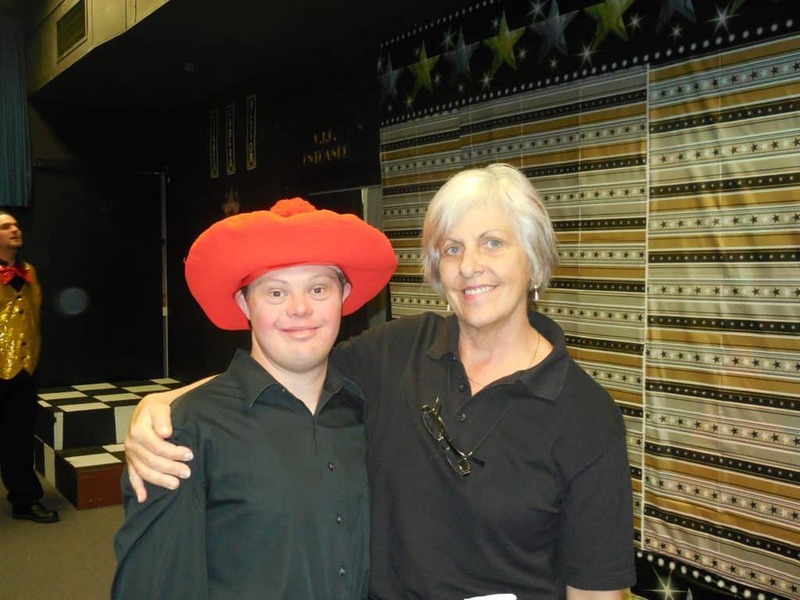 In 2017 students performed “A Man for all seasons”. Selected students also performed at Carols in the Park. 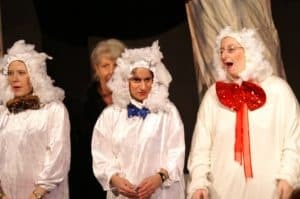 In 2016 students performed “Colour My World” and were part of the theatre’s 70th celebrations. Selected students also performed in the Silkstone eisteddfod. In 2015 students performed “The two of us” and in the Silkstone Eisteddfod. In 2013, S-Troupe performed “A little bit Country, a little bit rock ‘n roll”. 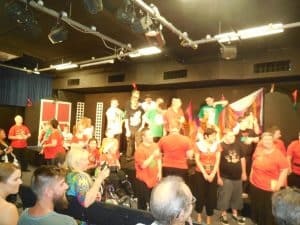 In 2012 S-Troupe performed “21 – Coming of Age”“Charlie meets WW” and some students again performed in the Silkstone Eisteddfod. 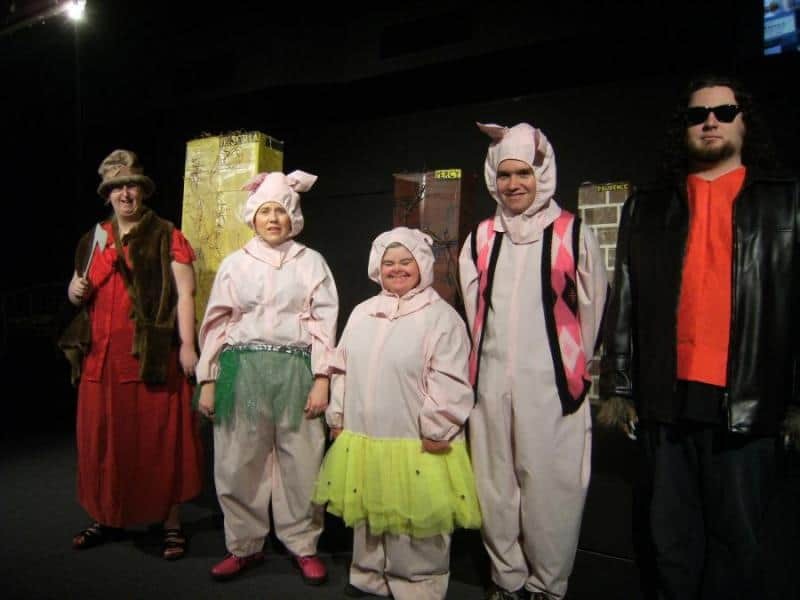 S-Troupe was formed in 1992 under the umbrella of Ipswich Little Theatre Society by Life Member Jan Paterson and a group of interested helpers, to give young people with disabilities the opportunity to perform and learn theatre skills. Students and helpers look forward to sharing some more exciting shows and upcoming events with our many loyal audience members, family and friends this year. 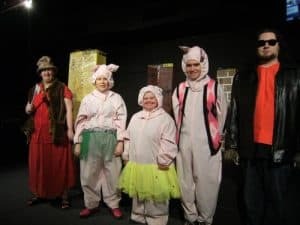 Performances are interactive with the audience and aim to expose our talented Special Actors to a wide range of artistic activities within the theatre genre. Classes are on Sundays from 3-5 pm (selected dates) and explore a variety of activities including singing, dancing, acting, mime and poetry. Students often perform little concerts based around the celebrations of Easter, Mother’s Day, Father’s Day, Anzac Day or Christmas. This is in addition to rehearsing for our main theatre production of the year. S-Troupe students are very active in the community and perform at Christmas Carols, street parades, theatre restaurant, nursing homes, Ipswich Drama Festival and Silkstone Eisteddfod. S-Troupe aims to not only promote the beautiful qualities and talent of our students but also broaden the awareness of our group and their needs within the community of Ipswich and is always looking for volunteers to come along and be a helper. Believe me the rewards of seeing the shows come together and the students growing in confidence both on and off the stage will far outweigh the work involved. If you are not confident at being a regular helper with the drama side of things, there is always help needed with music, props, costumes, publicity etc. The “S” in S-Troupe stands for special, and attendance at any of their shows certainly verifies that. Friendships have been formed, many laughs shared, and a touching bond cements it all together. Please see some photos below from our past shows and we look forward to seeing you at the next S-Troupe show.